Replacing windows and doors is a great way to improve your house or commercial building. Whether you plan on holding on to your property or renovate and sell, new windows and doors will improve the aesthetic of your space and improve your property’s marketability. Plus, you can save hundreds of dollars on heating and cooling because of our advanced energy efficiency technology. Also, your windows will soon pay for themselves. New windows and doors immediately add value and appeal, and you will likely be able to demand a higher price for your real estate. Whether your property is a residential or commercial building, our team is equipped to design and install your new window or door renovation project. Trust us to install your Replacement Windows in Burbank, and know that you’ve come to the right place. Browse our online design selections and give us a call to get in touch with a friendly staff member who can assist you. Did you know that we also do exterior Doors Replacement projects? If your exterior door is damaged or has seen some wear, it creates an opportunity for theft or break-ins. It’s worth the investment to get your door replaced so you to protect the ones you love the most. In addition, an older door can allow insects or rodents to enter your house. Once an infestation sets in, it can be difficult and costly to remedy. You may already have pests coming into your property without your knowing. Any type of extermination will not be effective if your door is not replaced since the entry point still exists. You would be surprised at how small a gap can allow all sorts of pests into your property. Invest in a high quality exterior door for your property, and get it installed properly. It’s wise to choose an exterior door that is strong and weather resistant. Our experienced team can help you select the best available model to fit your property in terms of size and style. We make it easy for you to select a style that fits your needs. Our exterior door models all feature advanced energy efficiency technology. Any gaps small enough to allow animals to enter can allow cold or hot air can enter as well. This can create extra buden on your heating or cooling systems. Getting a new exterior door will not only improve the security, cleanliness, and comfort of your building, but it’s also a good investment in the long run. Contact us today to schedule your appointment for your exterior door or Replacement Windows in Burbank in Burbank today. 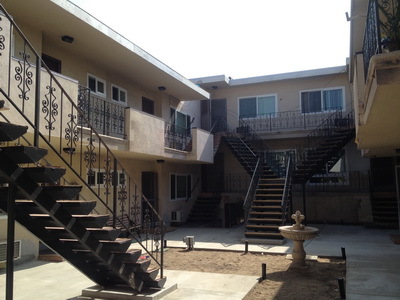 In addition to serving clients in Burbank, we also offer Replacement Windows in East Pasadena. If you need any type of window or door renovation or replacement, we are also happy to help with your needs. We have a reputation for excellent customer service and strive for the highest customer satisfaction. If you have any special requests, please feel free to inform us and we will do our best to accommodate. We want you to love the final result of your window or door project and to have it truly your specific needs. You can call us to schedule time to visit your property and give you an initial quote for your door or window replacement project. We are looking forward to working with you to transform your property and improve your quality of life.